Hair dryers definitely make life easier ... and not to mention more attractive ... don't they? Can you imagine what you'd do without your hair dryer every day? Even though hair dryers haven't been around long, hundreds of millions of people in modern society today use hair dryers on a daily basis. And they probably wouldn't be happy if they had to go even one day without them. Hair dryers started out just a little more than a hundred years ago as mammoth devices that were cumbersome and dangerous to use. Today, though, they are small and portable, and their convenience makes them one of the most popular electric gadgets on the market anywhere today. But how do these great devices work? The first hair dryer came onto the scene in 1890. Because people actually used to dry their hair using a vacuum cleaner, French salon owner Alexander Godefoy fashioned the first known hair dryer by switching a vacuum cleaner hose from 'intake' to 'exhaust,' making warm air blew out of it instead of into it. Needless to say, the design, though pretty ingenious, was not widely accepted for its bulk and clumsiness. Later, the dryer known as the 'hair hood dryer,' made of hard plastic, was a large, dome-shaped hood that would fit down over a person's head as they sat under it. Hot air was blown out through the small openings around the inside of the dome in order to dry the hair evenly. These dryers were very popular in salons until recently when they were largely replaced, even in salons, by blow dryers. The hood-type dryers are still used, mostly in salons, for clients who are getting something more done to their hair, such as a permanent or color. 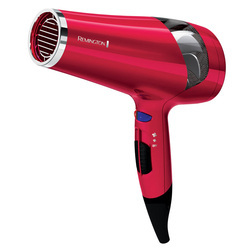 Electric hair dryers work by blowing room temperature air in through the vents. The air then passes over wire coils that heat it, making it able to blow the hair dry with hot air. The process of air blowing on the hair speeds up water evaporation. Applying power to the hair dryer allows the motor to start spinning the fan inside, and that is what draws the air in through small air holes on the side of the dryer. A safety screen is installed to make sure other objects cannot get into the hair dryer. Something that is very important in recent models of dryers is the ground fault interrupter circuit plug, which makes sure the electric hair dryer is grounded properly. Inside it is a circuit board along with a surface mount capacitor that stores and releases the charge, and a resistor, which resists flow of an electrical current. Thousands of people were electrocuted throughout the last century due to the lack of grounded of hair dryers and other electrical appliances. This grounding technology has greatly reduced these types of deaths. The most popular types of hair dryers in use today are ionic, tourmaline, and ceramic. Ionic hair dryers neutralize positive charges in hair because they generate negative ions. This process reduces frizz and static electricity, which is why these dryers are so popular. Tourmaline hair dryers are made from this precious stone, tourmaline. The stone actually generates a lot of negative ions at once. As with ionic hair dryers, these negative ions soften and smooth hair, reducing frizz and static. 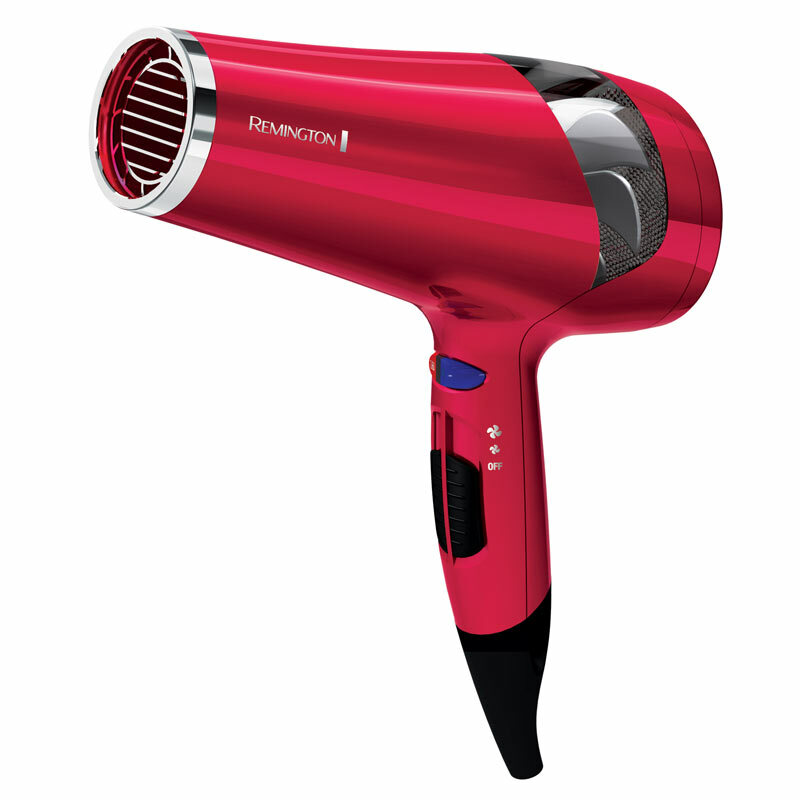 Tourmaline hair dryers also heat up quickly, significantly reducing the time it takes to dry and style hair. Ceramic hair dryers are popular because they dry hair quickly, and that often means less hair damage. Stylists favor ceramic hair dryers for this reason. Ceramic hair dryers contain self-regulating heaters and motors that are constructed of ceramic coils. These coils emit infrared heat. Ceramic dryers are also popular because their 'nano' technology is known to reduce bacteria formation. Electric hair dryers, especially the portable, hand-held kind, have certainly revolutionized not just the beauty industry, but life in modern society as a whole. Though this may sound like an overstatement, the truth is that hair is a billion-dollar industry in the U.S. alone, and hair dryers are at the forefront of this market. Hair dryers have become one of the most utilized tools in industrialized history. As a Hollywood actress once put it, "Without my hair dryer, I'm nothing!"